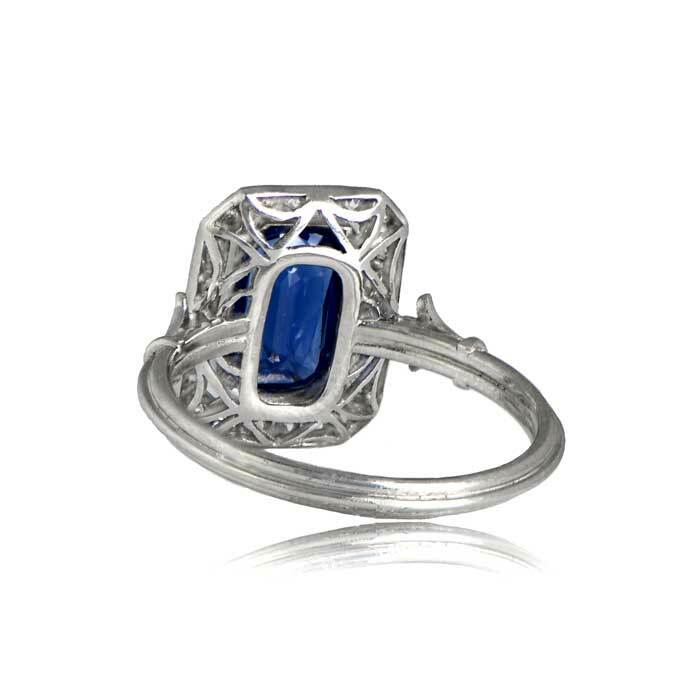 The Harvard Ring displays a stunning sapphire in the center, framed by a halo of round-cut diamonds and adorned with an openwork-filigree gallery. 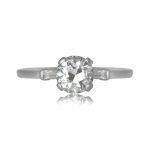 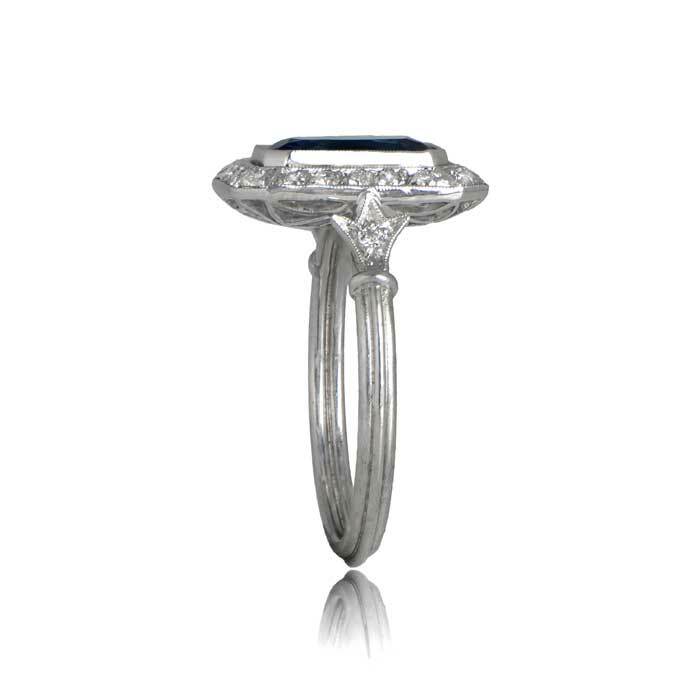 The handcrafted platinum mounting features a triple wire shank and is accented with diamonds on the shoulders. 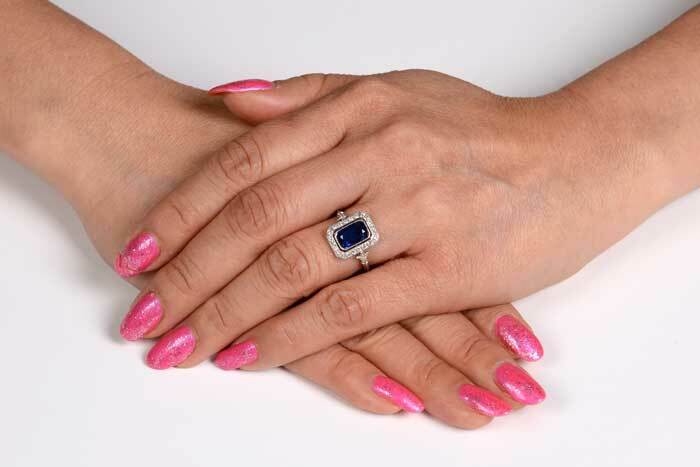 The center sapphire weighs 1.78 carats and showcases deep blue saturation. 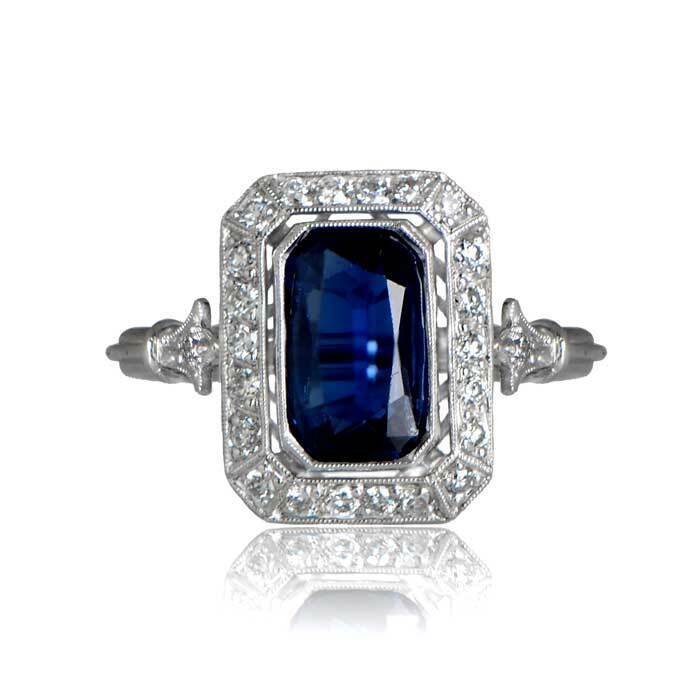 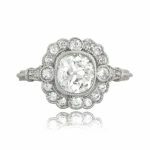 SKU: 11882 Categories: Sapphire Engagement Rings, Vintage Engagement Rings - Contact us and request additional pictures.